The PS4 was the top-selling console and the leader in software sales in the U.S. in May, Sony Computer Entertainment (SCE) said. It did not specify the source of its data. "PS4 continues to be the cumulative sales leader in the U.S. and globally with more than 20 million consoles already in the market," Sousuke Kamei, a spokesman at SCE headquarters in Tokyo, said via email. The company will share news about what's next for the console at the E3 video game expo on June 15. The statement from Sony is a sign of the incredibly tight competition in the gaming market as both titans vie for consumers' dollars. Mike Nichols, corporate vice president for Xbox marketing at Microsoft, said in an emailed statement that sales of Xbox One consoles in the U.S. were up 81 percent in May compared to the same month in 2014. Overall, however, the console gaming market shrank by 13 percent year-over-year, according to data from the NPD Group. Sales of accessories were up 20 percent over May 2014, but that wasn't enough to offset a decline in sales of previous-generation consoles and software. Current generation console sales were flat from May 2014, while sales of games for those consoles grew 8 percent year-over-year and made up 54 percent of software units sold. The news comes just days before the opening of E3 in Los Angeles, where Microsoft, Sony, Nintendo and a slew of third-party developers will show off their latest and greatest games and hardware. 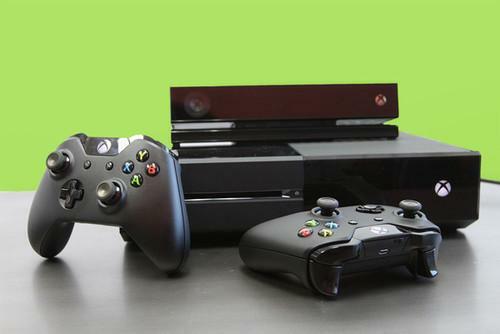 Microsoft unveiled a new version of the Xbox One on Thursday that sports a 1TB hard drive and costs US$400. The previous version, which has a 500GB hard drive, now costs $350. Today's sales information is good news for Sony's ambitions in the virtual reality market. The company has thrown a lot of effort behind its Project Morpheus headset, which requires the PS4 to function. Other players like Oculus and HTC have focused on the PC for their headsets. Oculus just unveiled the consumer version of its hardware during a press conference Thursday morning, along with a partnership the company forged with Microsoft that allows users to stream games to the Rift from their Xbox One using a Windows 10 PC.